Egypt and the United Arab Emirates are undertaking a joint military drill in the Gulf country's waters aimed at boosting military cooperation between the two Arab states, the Egyptian army spokesperson said on Sunday in a statement posted on his official Facebook page. The "Khalifa II" military and naval exercise, which began last week, is being held off the coast of the UAE and is expected to last for several days. 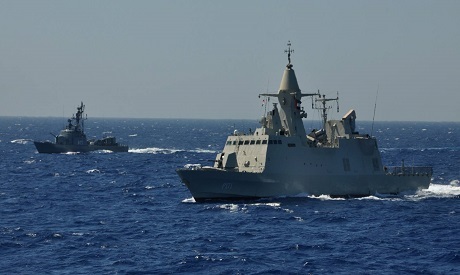 During the exercise, Egyptian and Emirati naval forces showcased their proficiency in combat training techniques, including handling enemy targets at sea, storming suspect vessels, ship combat, while coordinating with air forces to receive air support, the statement read. The drill is aimed at "bolstering military cooperation and exchanging expertise between the forces of both countries," the statement said. Cairo has carried out similar joint drills in recent months with Arab and European allies – including Saudi Arabia, Kuwait, France and Russia – amid growing concerns over threats of terrorism in the region. The UAE has emerged as one of Egypt's main backers following the 2013 ouster of Islamist president Mohamed Morsi, providing Cairo with billions of dollars in aid.